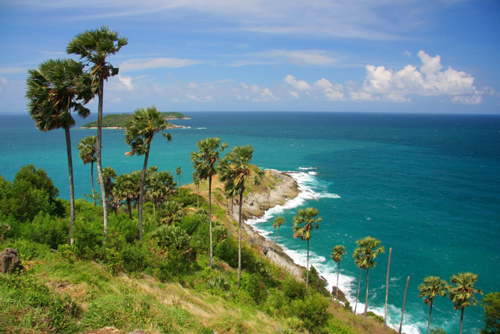 Laem Phromthep is one of the most popular and most photographed destination in Phuket. 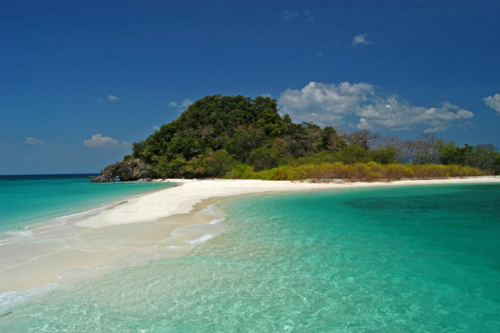 If you don’t come here, you haven’t been to Phuket! Laem Phromthep gives a panoramic view towards the beautiful crystal clear ocean but most important of all, tourists from all around the world come here to watch the most beautiful sunset of Thailand. Asap recommends you to enjoy the scenic drive south from Patong to Laem Phromthep. Patong is a beach on the west coast of Phuket Island. The 3 km beach destination is famed for its massive shopping and nightlife as much as its soft sandy cove. Its sandy, crescent beach is lined with cafes, restaurants and bars. The famously raucous nightlife scene features beer bars, go-go bars, nightclubs, massage parlors and transgender cabarets that overflow into the street along neon-lit Bangla Road. Nowhere else in Phuket has as much attractions or restaurants at the same place so prepare to spend a lot of time here. Talk about a glass of wine overlooking a 360 panoramic view of islands, Andaman Sea, Baba Nest has it all. They offer high-end cocktails with fine wines and champagne. 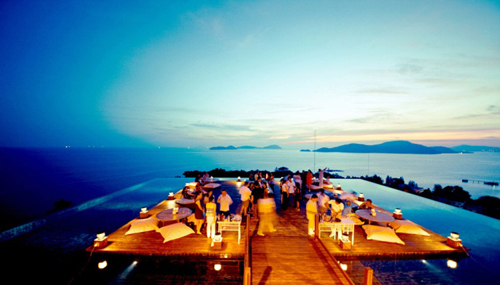 Its infinity pool surrounds the rooftop deck and your table. The view is breathtaking and a-cannot-miss. Have you dreamt of having fresh seafood with a reasonable price right next to the sea? Kan Eang @ Pier Restaurant will fulfill your dreams. 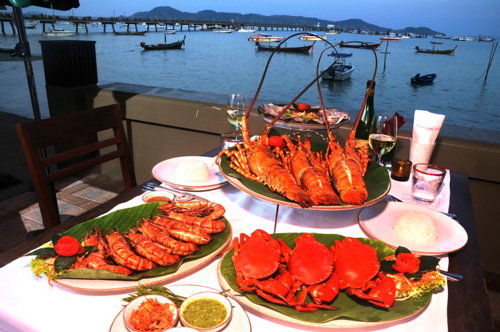 Local Thais and tourists know it’s one of the best seafood restaurants in Phuket as it has been running for more than 30 years. Menu includes Tom Yum Goong ($5.1), stir fried prawn with tamarind sauce ($8.3), and fresh steamed seafood of course!